Previous large scale projects have taught me the importance of prototyping an entire design. I made sure this project for 75 Save the Dates had iterations of design and prototype before we procured the supplies and production. – Weight: Thick cardstock and coasters make great statements but one thing we forget to take into consideration during design is the weight of the entire package. 80lb stock vs 120lb stock could mean a difference of $1 per mailing. At 75 mailings, you can save or spend $75 based on your paper stock choice. We took the prototype to the post office to determine if the weight was within our budget. – Mailable Envelopes: Our visit to the post office proved to be more valuable than expected. Our earlier design was a 4×4 envelope with 3.5″ coasters which turns out to be non-mailable. 5×5″ is the minimum square-sized envelope the USPS will deliver. – Cohesiveness: The prototyping phase gives the bride a great opportunity to see the package come to life. Yes, your wedding is really happening because we have the papers to prove it! Now that the digital design has passed the brides approval, most of the critique during this phase will be on color, font and packaging. A change in paper/envelope color, adding an image, tying the package in twine or changing the font can make all the difference. We had the challenge of having a 5×5″ envelope USPS limitation and 4″ circle being the largest coaster size. To keep the coaster from rolling around haphazardly in the envelope, we decided to tie it to another piece of paper that would include the accommodation information and a map of the wedding venue’s surrounding area. – Proof Read: A detriment of designing into the night is the increased likelihood of making spelling mistakes. Words like ‘Accomodations’ and ‘Benajamin Franklyn’ slip through. A second set of eyes or reviewing the printed prototype after a good night sleep can nip the embarrassing error before they become 75 embarrassing errors. – Content-driven wedding planning: There will always be pieces of information that you or the bride will include in the design but may not have 100% ready. 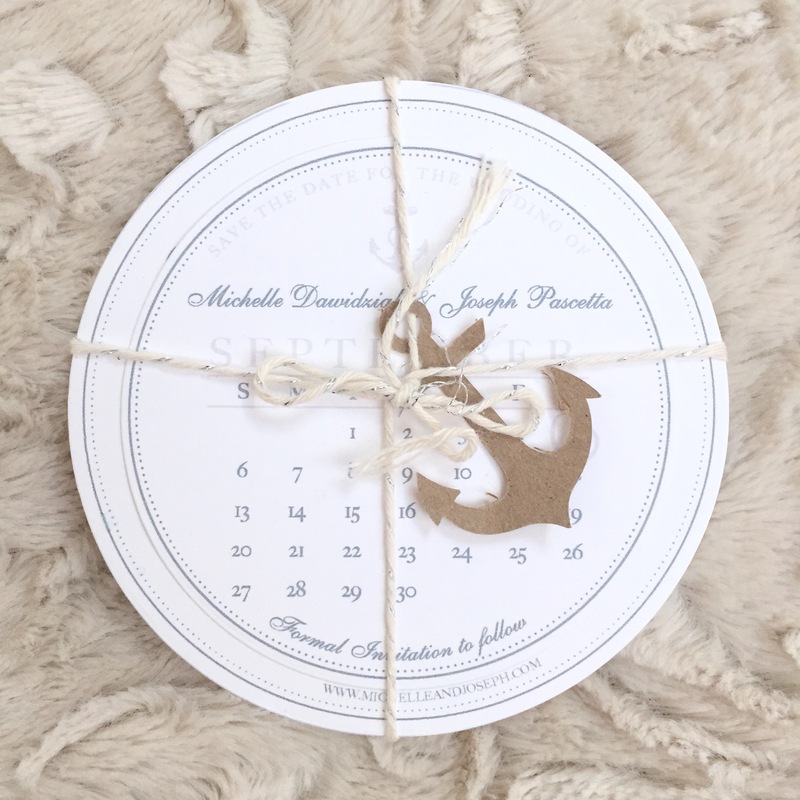 With the blessing from the bride this kind of information can be omitted from the save the dates or placeholder text can be temporarily added for the sake of prototyping. Interestingly, even if the bride is super organized, I’ve been able to help her get a few more to-do items on her list. Examples are creating the wedding websites and securing discounted rates with the hotels.